A dense globular star cluster near the center of our Milky Way Galaxy holds a buzzing beehive of rapidly-spinning millisecond pulsars, according to astronomers who discovered 21 new pulsars in the cluster using the National Science Foundation's 100-meter Robert C. Byrd Green Bank Telescope (GBT) in West Virginia. The cluster, called Terzan 5, now holds the record for pulsars, with 24, including three known before the GBT observations. "We hit the jackpot when we looked at this cluster," said Scott Ransom, an astronomer at the National Radio Astronomy Observatory in Charlottesville, VA. "Not only does this cluster have a lot of pulsars -- and we still expect to find more in it -- but the pulsars in it are very interesting. They include at least 13 in binary systems, two of which are eclipsing, and the four fastest-rotating pulsars known in any globular cluster, with the fastest two rotating nearly 600 times per second, roughly as fast as a household blender," Ransom added. Ransom and his colleagues reported their findings to the American Astronomical Society's meeting in San Diego, CA, and in the online journal Science Express. The star cluster's numerous pulsars are expected to yield a bonanza of new information about not only the pulsars themselves, but also about the dense stellar environment in which they reside and probably even about nuclear physics, according to the scientists. For example, preliminary measurements indicate that two of the pulsars are more massive than some theoretical models would allow. "All these exotic pulsars will keep us busy for years to come," said Jason Hessels, a Ph.D student at McGill University in Montreal. Globular clusters are dense agglomerations of up to millions of stars, all of which formed at about the same time. Pulsars are spinning, superdense neutron stars that whirl "lighthouse beams" of radio waves or light around as they spin. A neutron star is what is left after a massive star explodes as a supernova at the end of its life. The pulsars in Terzan 5 are the product of a complex history. The stars in the cluster formed about 10 billion years ago, the astronomers say. Some of the most massive stars in the cluster exploded and left the neutron stars as their remnants after only a few million years. Normally, these neutron stars would no longer be seen as swiftly-rotating pulsars: their spin would have slowed because of the "drag" of their intense magnetic fields until the "lighthouse" effect is no longer observable. However, the dense concentration of stars in the cluster gave new life to the pulsars. In the core of a globular cluster, as many as a million stars may be packed into a volume that would fit easily between the Sun and our nearest neighbor star. In such close quarters, stars can pass near enough to form new binary pairs, split apart such pairs, and binary systems even can trade partners, like an elaborate cosmic square dance. When a neutron star pairs up with a "normal" companion star, its strong gravitational pull can draw material off the companion onto the neutron star. 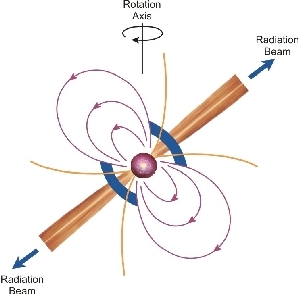 This also transfers some of the companion's spin, or angular momentum, to the neutron star, thereby "recycling" the neutron star into a rapidly-rotating millisecond pulsar. In Terzan 5, all the pulsars discovered are rotating rapidly as a result of this process. Astronomers previously had discovered three pulsars in Terzan 5, some 28,000 light-years distant in the constellation Sagittarius, but suspected there were more. On July 17, 2004, Ransom and his colleagues used the GBT, and, in a 6-hour observation, found 14 new pulsars, the most ever found in a single observation. "This was possible because of the great sensitivity of the GBT and the new capabilities of our backend processor," said Ingrid Stairs, a professor at the University of British Columbia in Vancouver. The processor, named, appropriately, the Pulsar Spigot, was built in a collaboration between the NRAO and the California Institute of Technology. The processor, which generates almost 100 GigaBytes of data per hour, allowed the astronomers to gather and analyze radio waves over a wide range of frequencies (1650-2250 MegaHertz), adding to the sensitivity of their system. Eight more observations between July and November of 2004 discovered seven additional pulsars in Terzan 5. In addition, the astronomers' data show evidence for several more pulsars that still need to be confirmed. Future studies of the pulsars in Terzan 5 will help scientists understand the nature of the cluster and the complex interactions of the stars at its dense core. Also, several of the pulsars offer a rich yield of new scientific information. The scientists suspect that one pulsar, which shows strange eclipses of its radio emission, has recently traded its original binary companion for another, and two others have white-dwarf companions that they believe may have been produced by the collision of a neutron star and a red-giant star. Subtle effects seen in these two systems can be explained by Einstein's general relativistic theory of gravity, and indicate that the neutron stars are more massive than some theories allow. The material in a neutron star is as dense as that in an atomic nucleus, so that fact has implications for nuclear physics as well as astrophysics. "Finding all these pulsars has been extremely exciting, but the excitement really has just begun," Ransom said. "Now we can start to use them as a rich and valuable cosmic laboratory," he added. In addition to Ransom, Hessels and Stairs, the research team included Paulo Freire of Arecibo Observatory in Puerto Rico, Fernando Camilo of Columbia University, Victoria Kaspi of McGill University, and David Kaplan of the Massachusetts Institute of Technology. 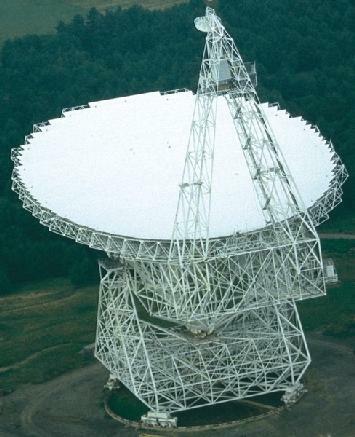 The National Radio Astronomy Observatory is a facility of the National Science Foundation, operated under cooperative agreement by Associated Universities, Inc. The pulsar research also was supported by the Canada Foundation for Innovation, Science and Engineering Research Canada, the Quebec Foundation for Research on Nature and Technology, the Canadian Institute for Advanced Research, Canada Research Chairs Program, and the National Science Foundation.